New AV-HLC100 production switcher bundles are available to offer a high-quality, reliable and easy-to-use production center together with two of our IP based PTZ cameras AW-HN38 or AW-HN40. NDI (Network Digital Interface) technology has been developed by NewTek, it is made available to anyone with a royalty-free license, and has been widely adopted by many broadcast vendors. NDI is becoming a de facto standard in the live production industry. NDI revolutionizes video production workflow by removing the physical I/O constraints of traditional broadcast infrastructure. Any NDI-enabled device on the network can see and access content from all other devices, allowing more sources than ever before to be used for live production. What is the specification of NDI|HX? NDI is designed to run over existing 1 Gigabit networks, allowing easy adoption of the protocol without new infrastructure. This is achieved through the use of video compression with the NDI|HX codec, which delivers 1080 Full HD video at data rates typically around 15Mbps. NDI|HX is a 4:2:0 8-bit codec, based on H.264 compression. It supports 1080p and 720p, at different frame rates. Factory default mode is 1080/25p at 10Mbps. 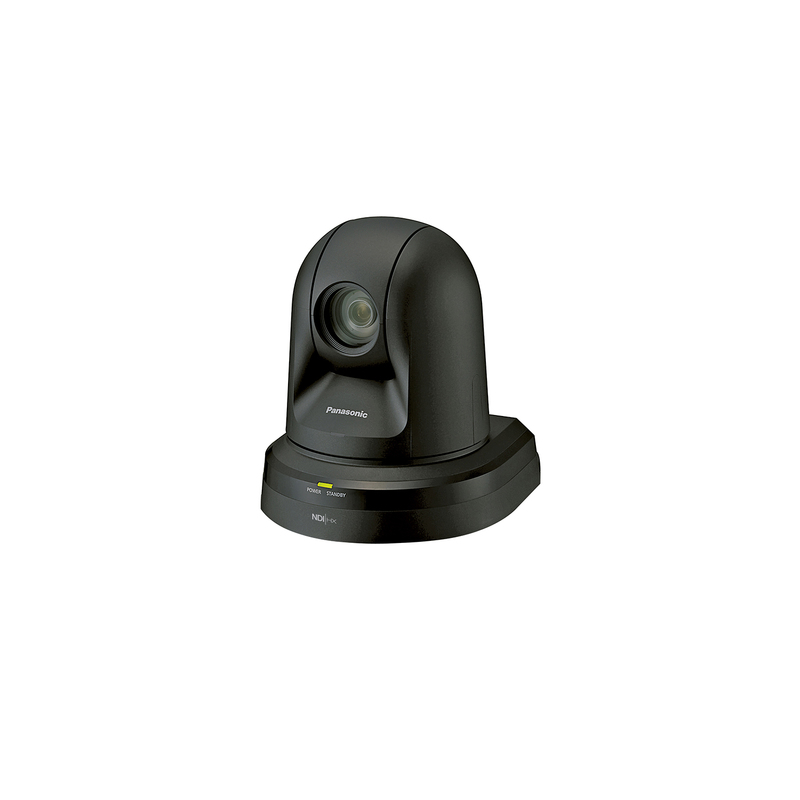 The AW-HN38 series of integrated full HD cameras perform in a wide variety of onsite shooting applications that require high-quality video, such as conferences, lecture capture and other events, thanks to its high-performance zoom, wide angle of view and outstanding colour reproducibility. 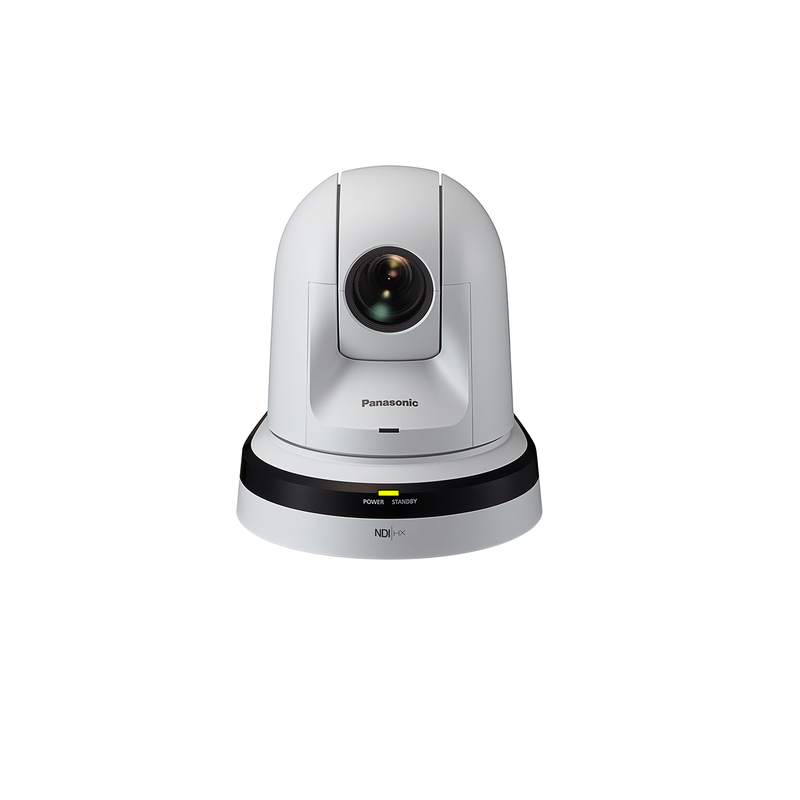 In addition to a 22x optical zoom, the AW-HN38 also features intelligent zoom up to 30x and a 1.4x digital extender to capture crisp close-ups even in large auditoriums and lecture halls.The HN38 delivers an impressive signal-to-noise ratio of 54dB (F4/2000lx, minimum illumination, .35 lx), 1000 TV lines of resolution and 16-axis colour matrix control for precise camera “painting” and matching. The HN38 already includes many innovative standard features developed to expand the capabilities of professional video system users. In addition to Panasonic's Dynamic Range Stretch (DRS) and advanced Digital Noise Reduction (DNR), an ingenious High Dynamic Range (HDR) mode helps to produce very good video even in extreme contrast and lighting conditions. Video Outputs: Standard professional interfaces include HDMI, as well as IP/Network for single cable delivery of high-quality content up to 1080/60p. Audio Input: Audio input and embedding (on IP, HDMI) are also available via a switchable, stereo MIC/LINE input. Serial Control: RS-422 serial compatibility is available for serial-based control workflows (i.e. connection to AW-RP50/120 or previous controllers). 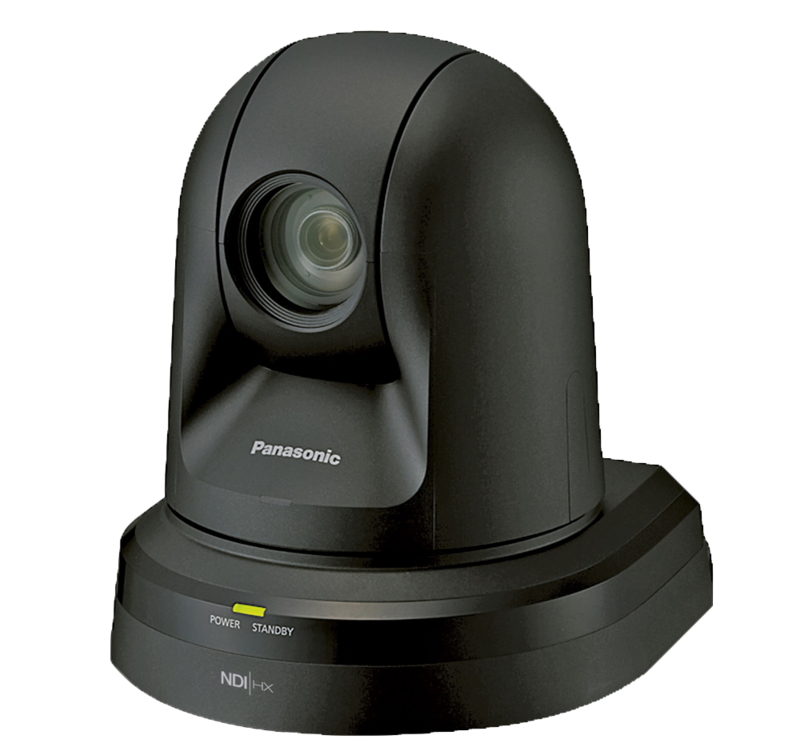 RS-232 and RS-422 VISCA protocol is available when introducing a Panasonic camera into an existing control structure. USB or microSD Card Recording: The mini-USB connector allows the AW-HN38 to be utilized as a USB camera utilizing standard USB Video/Audio class drivers. Many applications that connect to USB cameras, such as teleconferencing or software switching solutions, will be able to connect to the HN38 without external converters. Alternatively, microSD recording enables ISO MP4/H.264 recording internally in the HN38, transfer of content over the network via web browser or FTP. This product is part of our optional three year warranty program. This program is enhancing one of the best service programs in the industry and offers all customers the best after-sales service possible. Broadcast quality IP production with NDIIHX! In this episode, Jaume Miro and Dean Offord talk about NDI and NDIIHX. 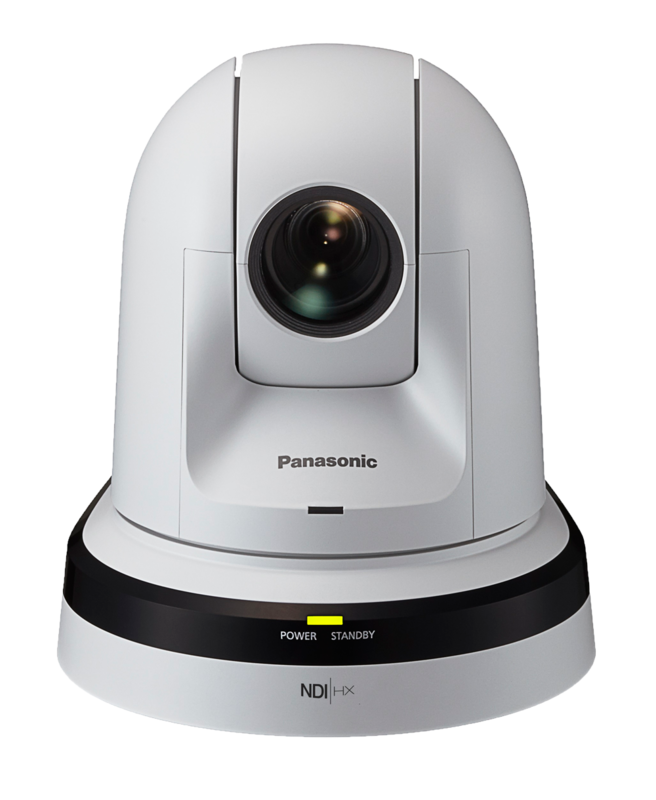 They are detailing the benefits, introduce our NDIIHX series of PTZ cameras as well as explain how to upgrade Panasonic remote cameras AW-HE130, AW-UE70, AW-HE40 & AW-HE38 to support NDIIHX.